A once popular canal-side bar-restaurant at Auchinstarry on the outskirts of Falkirk has gone into liquidation with immediate effect. The Boathouse was run by Townhouse Restaurants Ltd, which originally launched the ambitious venue at Auchinstarry Marina in partnership with a major pubs group almost a decade ago. Townhouse had also owned The Wheelhouse in Falkirk, but that business has been under the new ownership of Cawley Hotels since January this year. The original decision to create an elaborate newbuild at Auchinstarry was widely seen as as bold move at a time when the recession was starting to make an impact on the dining out market. More recently tougher drinking and driving rules are widely claimed to have had a devastating effect on the “Sunday lunch” market. Some previously thriving central belt venues have reportedly survived only through the strength of loyal trade from the immediate local area, in some cases built up over generations. A bumper summer, when outdoor dining nevertheless flourished in many areas, wasn’t enough to solve the Boathouse’s financial problems. At the same time Scottish Canals has met major difficulties in keeping canal traffic moving, because of damage to key locks and bridges. A message posted on the Boathouse’s website states that resolutions have been passed to wind up the business and place Townhouse in liquidation. Earlier a spokesperson for the venue’s employees said the closure decision was devastating. 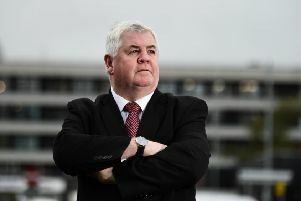 The process is being handled by Glasgow-based chartered accountants and insolvency practitioners French Duncan, which deals with many high profile licensed trade businesses across Scotland. It isn’t known how many jobs are under threat, or whether it is intended to make the business available for sale to any potential new operator. When launched over a decade ago the Boathouse was seen as an exemplar of “green” building technology and energy conservation. It was predicted likely to prove a popular out-of-town venture that would appeal to Falkirk residents, the boating community on the canal, and day trippers from Glasgow.